My Social Media Ghost: Why aren't you looking at the analytics for your blog? Why aren't you looking at the analytics for your blog? A few weeks ago I spoke with a new small business blogger. I asked this person a few questions about their blog strategy and how they were planning to measure if the blog was successful. Their answer was, "We aren't measuring anything right now. It will eventually take off." This answer is a total misconception in my humble opinion. If you don't know how many people are reading your blog, which posts are getting the most hits, and where your readers are coming from then why are you blogging? Having no strategy is still a strategy - and here it is: I'll throw whatever I can at the wall and see what sticks. Bad idea, people! Take fifteen minutes and put Google Analytics on your blog. Use this free tool to look at each post you've done and see what's popular with your readers and what's not. See where people are coming from. It's really not hard. You can do it. Just as you must have a business plan in order to run a successful business you must also have a blogging plan. Who is your target audience? What are they interested in? What other blogs do they follow? Review the data monthly and adjust accordingly. Blogging can be rewarding, but not if no one is reading your blog or if you think no one is reading it. Do yourself a favor, make a plan. 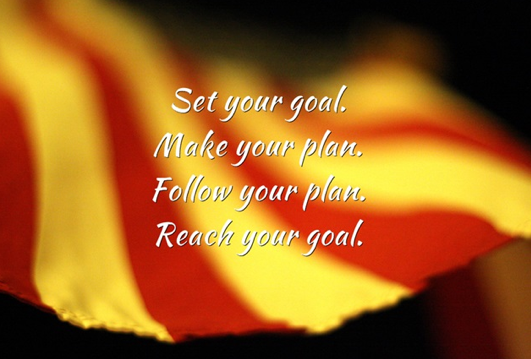 Follow your plan. Measure your results. And celebrate when you reach your goals!